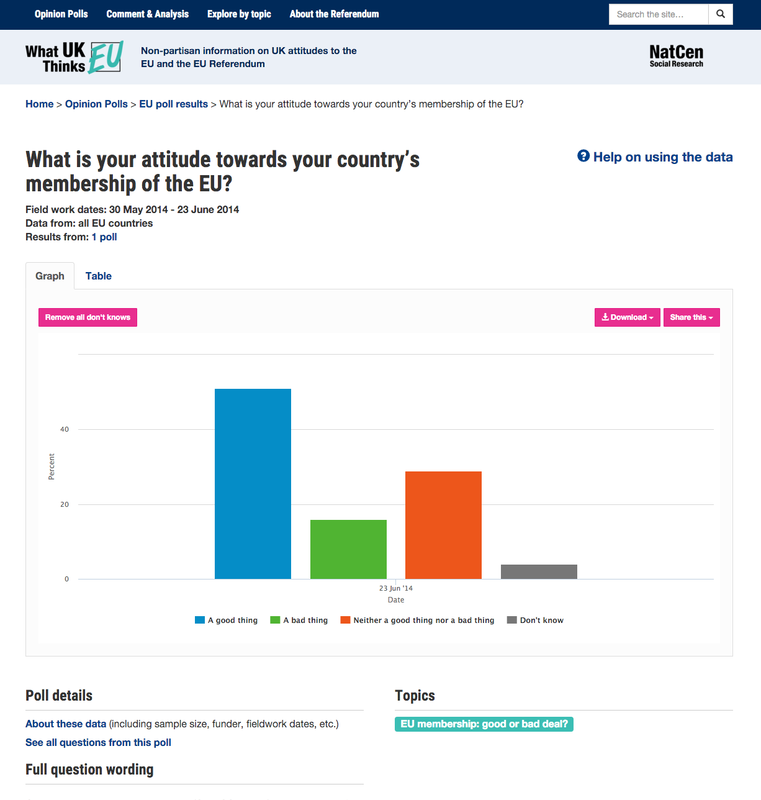 What UK Thinks:EU gathered polling data on British attitudes to the EU leading up to the referendum which took place in June 2016. 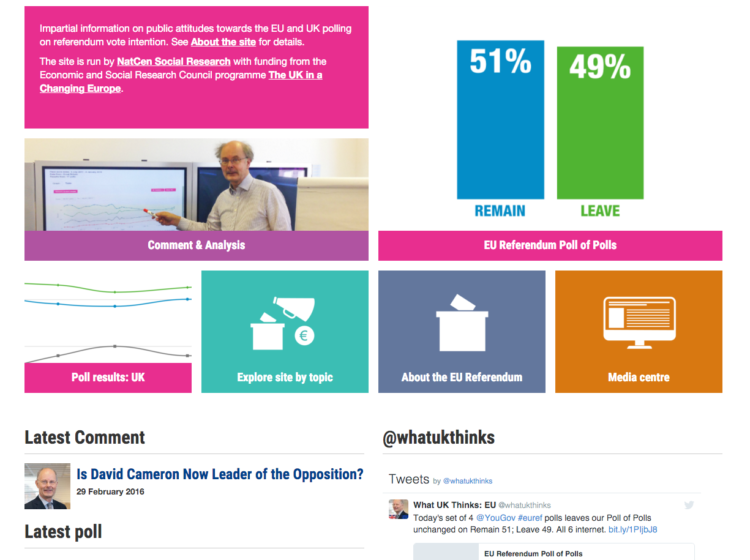 Through graphs and tables powered by Highcharts, the site enables users to explore polling data by topics, see the latest voting intentions through a Poll of Polls, and read expert commentary and analysis from Professor John Curtice and other political researchers. 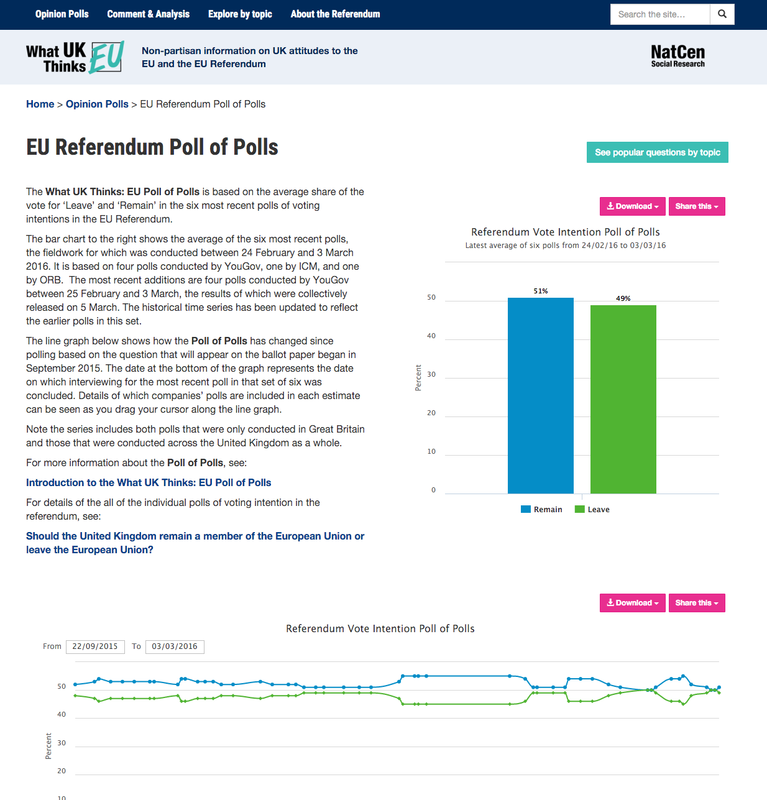 We spent time working closely with NatCen Social Research to ensure we fully understood their publishing needs and processes, creating custom WordPress fields that make it possible for editors to easily add new polling data to the site as it arrives. 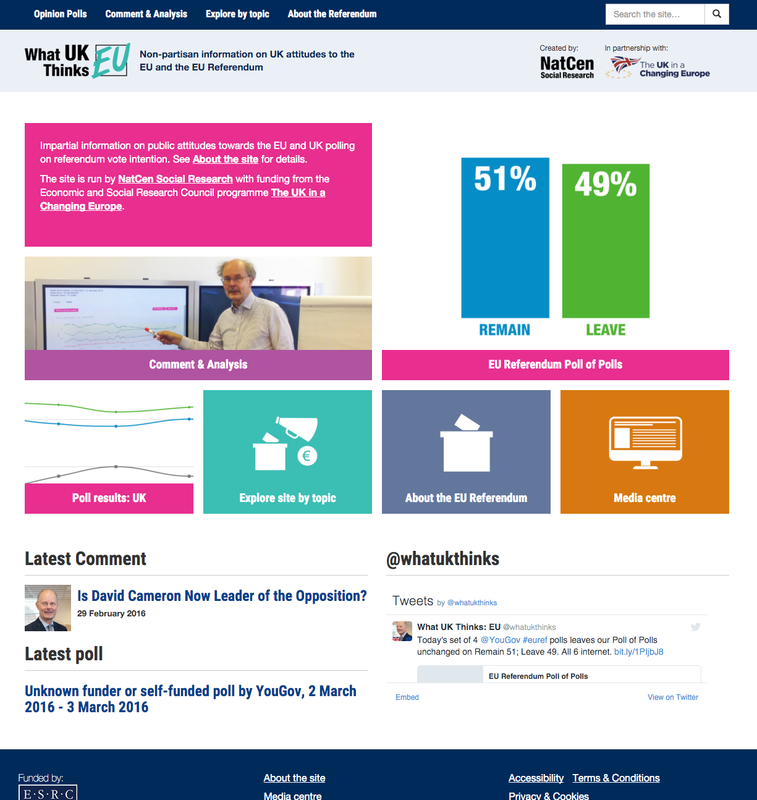 Card sorting exercises helped us organise the huge amount of data into information that is easily navigable by users, allowing everyday users to get a quick snapshot of the latest polls and experts to drill down into methodologies and question wordings. 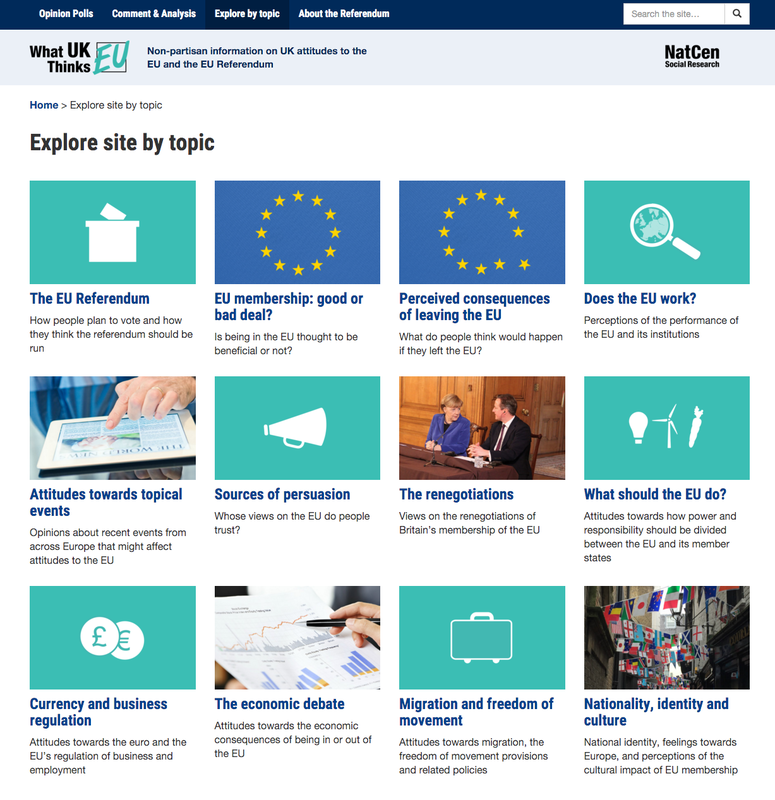 Feedback from usability testing meant we could iterate the design and layout of the graphs and charts on the site so they were easy to understand and use.